Cashless society: How much would the United States save by ditching paper money? How would it affect the economy if we ditched coins and bills altogether? 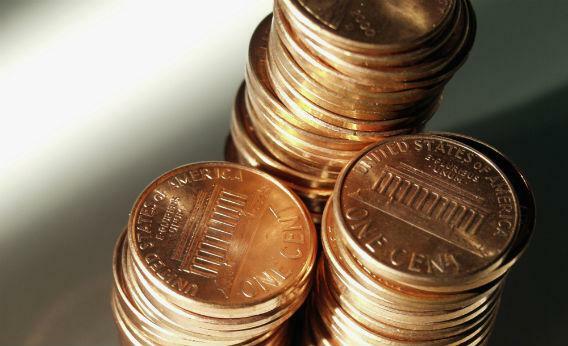 For the sixth year in a row, pennies and nickels cost more to produce in 2011 than they were worth. While the depreciation of the cent and the increased cost of producing coins is an old story, the U.S. Mint did reach a new milestone last year: For the first time in history, both the five-cent and one-cent denominations cost double their value to produce. This gap resulted in more than $116 million—roughly 11.6 billion pennies—in negative seigniorage. That’s enough change to fill Shamu’s tank at Sea World twice over. Defenders of loose change might say this is nothing more than a trivial editorial gimmick, meaningless both in a larger economic context and relative to the $488.8 million in positive seigniorage the U.S. Mint earned on other types of coins. Of course, they would be right. But the costs associated with coins and paper money extend far beyond the Mint. It takes money to pay for armored transport and to hire cashiers to balance cash drawers. There are also opportunity costs for consumers in taking trips to the ATM or waiting in line while someone makes change at the grocery store, not to mention the price of all the change you’ve lost in your couch. Those are just the tangible costs of cash. We also must pay for the social ills caused by a physical currency system: underground criminal economies, tax evasion, environmental damage, counterfeiting. Banks lost $35 million worth of “loot” (the official FBI terminology) during 5,628 bank robberies in 2010, and that does not include insurance costs, medical expenses for 18 injured victims, and the immeasurable value of lost human life. And that’s chump change compared to Uncle Sam’s tax gap over the past decade, which has been estimated at $3 trillion. More than one half that gap is attributable to underreporting of business income and much of that stems from unreported or underreported cash—that great little cash-only Italian place down the block might not be paying its taxes in full. How would it affect the economy if we ditched coins and bills altogether? Because the burdens and upsides of cash are so manifold and relatively unstudied, the aggregate impact of our cash-based system is difficult to piece together. The few studies that have been done rely on lots of potentially unreliable numbers—the guesstimated cost to consumers of using ATMs, for example. If you’re willing to look past the necessary fudging, though, the prevailing research suggests cash doesn’t pay. One 2003 study estimated that moving from a wholly paper-based network to a completely electronic one could save an economy 1 percent of its annual GDP (a $150 billion sum for the United States). A 2004 AEI-Brookings paper calculated that, even factoring in the benefits of anonymity that cash provides—accounted for by measuring the bonuses grocery store customers were willing to give up by declining rewards cards—cash is twice as costly as debit. Anne Layne-Farrar, one of the authors of the Brookings study—she is now at work on an updated version—says the relative costs of cash have continued to grow, with the rise of self-checkout, e-commerce, and mobile payments making electronic payments even cheaper. While cash foes have struggled to pinpoint the cost of a dollar, critics on the other side do have precise numbers to point to. In 2009, merchants paid $16.2 billion in interchange fees—the commissions that banks charge businesses to process debit transactions. These swipe fees had been escalating for years as debit card use has become more common, though last year’s Dodd-Frank financial reform act capped these charges. But even accounting for those billions in interchange fees, study after study shows that cash is more burdensome than debit. If cash is so costly, why hasn’t there been an uprising against the greenback? Because the costs of cash, along with being difficult to quantify, are also practically invisible. The only time people are confronted with the price of paper money is when they pay ATM fees. Everything else—transportation, crime, opportunity costs—is hidden, baked into the prices we pay for goods and services. What steps would the U.S. government have to take to move to a cashless society? In addition to answering privacy questions, the federal government would need to ensure that consumers are paying the full costs of their currency choices. In Finland, for example, merchants have to pay for cash deposits and banks charge for cash withdrawals. And in neighboring Sweden, another of the most cashless countries in the world, public buses don’t accept cash and some banks have stopped dealing with paper money. With these policies compelling consumers and merchants to use cheaper digital methods, cash usage has been pushed largely into the gray and black market. In a rational world, Birch says, banks, regulators, and consumer advocates would get together to decide how money should work. The technologists would then build the system that everyone agreed was most efficient, private and secure. We don’t live in that world, but the government can still enact policies to move us toward a less costly, cashless future. One example: Require that banks, as a condition of having a license, provide a free debit service to their customers. To make up for the resulting shortfall in debit fees, banks could start including a surcharge for cash transactions. If we don’t attach the costs of cash to the use of cash, we’re going to keep paying in other ways—higher taxes to make up for lost government revenue from tax cheats, higher prices to make up for labor inefficiency, and pricier mortgages and banking fees to make up for the costs banks pay for securing and maintaining all that cash. That all adds up to a whole lot more than the change in the cushions of your couch.